Visit the Used Equipment Section for information about many models and types of equipment. 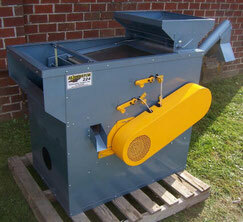 Seed cleaners, gravity tables, bucket elevators, bagging scales, and more. 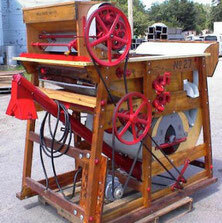 Be sure and visit our Equipment Specials page for pictures and information about used equipment that we have available. These are units that are in good, ready to use condition. We have many more pieces at our location, but have listed some for you to see. Visit the New Equipment Section for pictures and information about new equipment that we have available. We sell brands such as Oliver Mfg., AT Ferrell Co. (Clipper Cleaners), Universal Products, Taylor Products, and Q-Sage Inc.